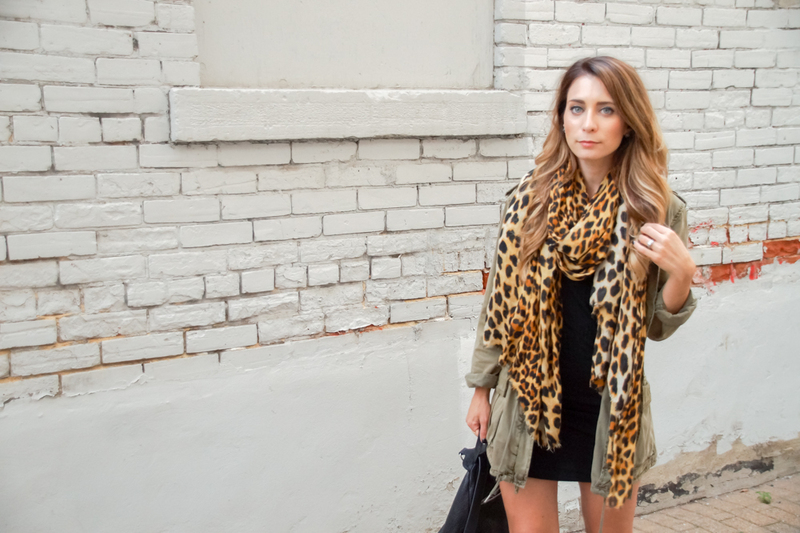 OOTD - Military + Leopard | La Petite Noob | A Toronto-Based Fashion and Lifestyle Blog. In terms of practicality, I really don't think you could get any more practical or comfortable than a backpack. I'll admit, I didn't warm up to the trend right away but as soon as I received this Rebecca Minkoff leather Julian backpack my mind was officially changed. I especially love this bag for my walking commute to work, as well as while traveling. You can definitely expect to see this backpack making an appearance in my upcoming trip to New York. Are you excited for Fall? What items do you look forward to the most for the cold weather? Let me know! You look fab! And pointy toe boots are my go-to as well! So excited for your to head to NYC! Definitely need to give you a few recommendations. Yes I would love to hear your recos! Time to gather everyone up for another blogger brunch? Quite the combo! Loving your camo leopard! Thanks Agnes! My inner Italian LOVES anything and everything leopard! Thanks Kris! Yes, you're definitely the bootie/shoes queen! I envy your collection! Love your style Joelle! I was wondering if you would be able to do a post on how to be office appropriate, but still fashionable. I have finally finished as a student and am entering the "real world." I don't want to appear bland in my new setting, but also don't want to get dinged for dressing appropriately. What are your style tips and/or suggestions?